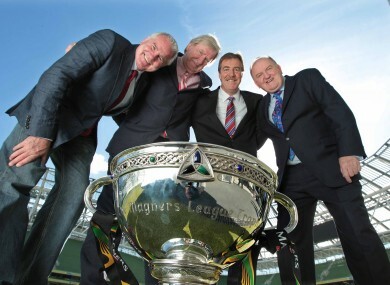 RTE today announced details of their inaugural season of full Magners League coverage. Coverage begins this Friday with Leinster’s first match of the season against Glasgow Warriors, with up to thirt-five live matches to be televised on RTE this season and for the next four seasons. Donal Lenihan, Victor Costello, Frankie Sheahan and Daire O’Brien join the RTE rugby team alongside current presenters George Hook, Tom McGurk, Brent Pope, Conor O’Shea and Joanne Cantwell. “This is a ground breaking agreement involving six separate public service broadcasters. In Ireland, RTÉ is sharing broadcast rights with TG4 to ensure that Irish audiences will be able to enjoy the Irish provinces in action every week. In addition to live television coverage, RTÉ.ie will also simultaneously stream RTÉ’s coverage within the island of Ireland while also providing a catch-up service on the RTÉ Player. Some matches will also be broadcast on RTE radio. Email “RTE launch Magners League coverage”. Feedback on “RTE launch Magners League coverage”.